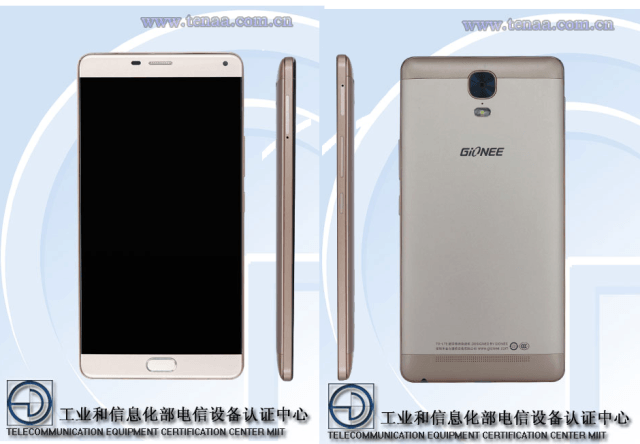 The Gionee GN8001 - which along with the Gionee GN5001L and GN5002 was certified by China's 3C earlier this month - has now passed through the country's Telecommunication Equipment Certification Center (TENAA). The listing on TENAA's website reveals that the device is powered by a 1.3 GHz octa-core processor, and sports a large 6.0-inch (1920 × 1080 pixel resolution) AMOLED display. It has 3GB RAM and 32GB expandable internal memory. In terms of camera, the listing says the Gionee GN8001 would feature at-least 8MP rear unit (could also go up to 13MP) and a 5MP front shooter. Weighing in at 206 gms and measuring 160.7×81.0×8.2 (mm), the handset runs Android 5.1 out-of-the-box. Connectivity options reportedly include 4G LTE, 3G, Bluetooth, GPS, and USB, while color options include silver. Gionee isn't really aware that prices and a false sense of importance is why nokia, blackberry, htc and sony are cast becoming unknowns in the mobile race. samsung is trying very fast to also join the no-sales club.